Today we have a guest post from Here Come The Hoopers who are not only a fabulous family blog to follow with lots of ideas to keep school-aged kids entertained, but also my friends so please make my day and give them a follow on Facebook here. Being a child of the 1980’s, Easter egg hunting didn’t feature in my childhood. Our Easter eggs were paste eggs dyed with onion or hardboiled to enter into egg decorating competitions. Plenty of the lovely chocolate ones… but hunting for them in gardens just wasn’t a thing. Maybe it’s one of these American traditions like Halloween that has grown and grown over the past few years? Just this week I’ve seen loads of egg hunting baskets, plastic eggs and signs to pop in the garden in supermarkets. Anyway I digress it seems to be a new (or imported) tradition that’s here to stay! And it’s a pretty fun one! 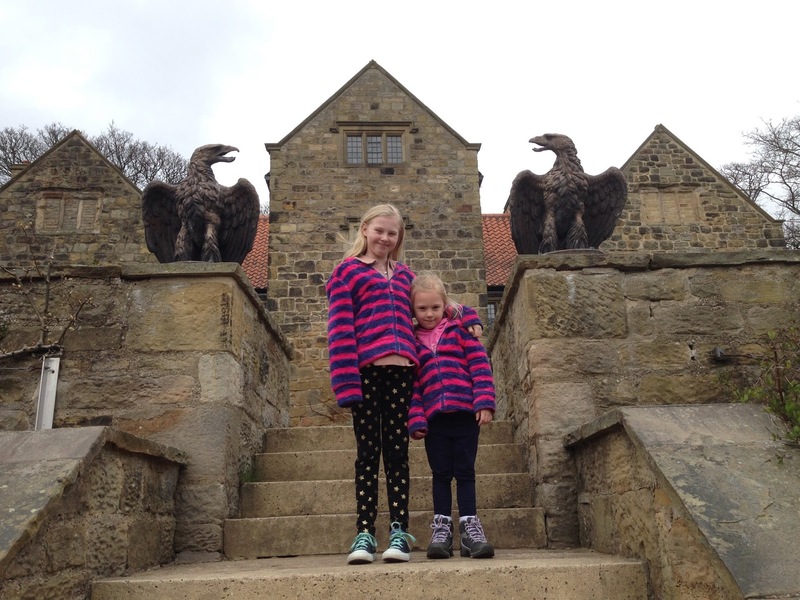 As annual membership holders of the National Trust the girls have enjoyed quite a few of them over the years. The National Trust has joined up with Cadbury’s to offer the hunts at selected properties. Entry fee to each property is required and a small fee (around £2.50, but varies) is passed over in exchange for a treasure hunt sheet. At the end of the hunt the sheet is exchanged for a chocolate egg. Fresh air, chocolate rewards and an escape from whatever rubbish (repeated) movies are on the TV. 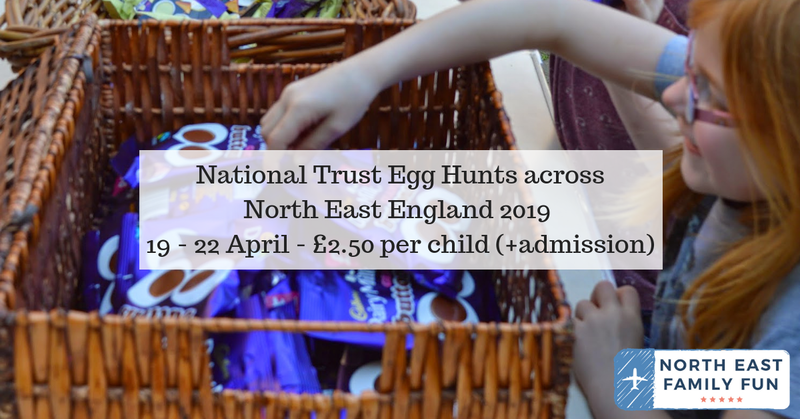 You just can’t go wrong with a National Trust Cadbury’s Egg Hunt in our opinion. Seaton Delaval is one of the newest properties in the National Trusts portfolio in the North East. It’s easy to find just inland and close to St Mary’s island for a bit of rock pooling afterwards. The hall itself is a large imposing shell of it’s former self and you can see where part of it was destroyed in a fire. The gardens are flat, so very easy to access with a pram or elderly relative. It’s a busy one though so be prepared to be hunting in a crowd! Previous years hunts have involved following a marked out trail through the gardens to find letters. The letters make up a code word, which is the key to the chocolate. One of the details that I remember about the hall is the small round reading rooms. As you enter the main building they are tucked away in the corner of the room. It seems like a strange addition to a grand hall, but obviously was used in its previous life. It looks like Seaton Delaval Hall are not running an Easter Egg Hunt this year (due to ongoing renovations) - I will update this post if I hear otherwise. Washington Old Hall is located in the middle of Washington village. It’s a small NT property and therefore the hunt around the garden is pretty small but perfectly formed. The property is worth a look around especially anyone interested in American history due to its links with George Washington (the 1st President). You can always wash your chocolate egg down with a nice coffee in the cute tea room. Last year’s Egg hunt involved locating wooden stepping stones that had animal carvings on. They were dotted around the garden and located via a sketched out map. The Garden has a selection of nut trees and some bee hives. Which was fun watching the kids pose for a photo in front of them, until they knew what they were. Washington Old Hall was also turned into smaller flats in its recent history. There are a couple of flats that you can see on display. You can find out about the residents that once lived there. However if you are really lucky you may see one of the previous tenants! The egg hunt will take place from 19 April - 22 April 11am - 3pm. The trail costs £2.50 per child. Find out more here. We love Wallington! This was by far our favourite egg hunt. This trail was well themed on the lives of the Trevalyn children who called Wallington their home in the Victorian times. It led you to the 2 large playgrounds, to the boat shed, and all around the grounds of the property. Take plenty of time if you are meeting friends, as this place was popular with large queues to get in and we ended up in the overflow parking. Being a larger property there is loads of do here and kids just love kicking a ball in the flat walled gardens. The hall itself has a lovely collection of Victorian dolls houses and usually has a craft table set out for the children if the weather takes a turn for the worse. Inside the hall is a very impressive hallway. It’s large square layout has an overlooking upstairs landing. The walls are covered in paintings. One of which I stood at trying to work it out like a secret Da Vinci coded message. There are letters on the picture that don’t seem to relate to anything! The egg hunt will take place 19 April - 22 April at a cost of £2.50 per child. Find out more here. So we didn’t pick the best weather to do this hunt. And I’ll confess here that I cowered in the tea shop, while the rest went out to do this one in the heavy rain. The Easter Egg hunt was mainly located around the Leas. With letters located in a trail and the letters formed an anagram to be solved in exchange for your chocolate prize. 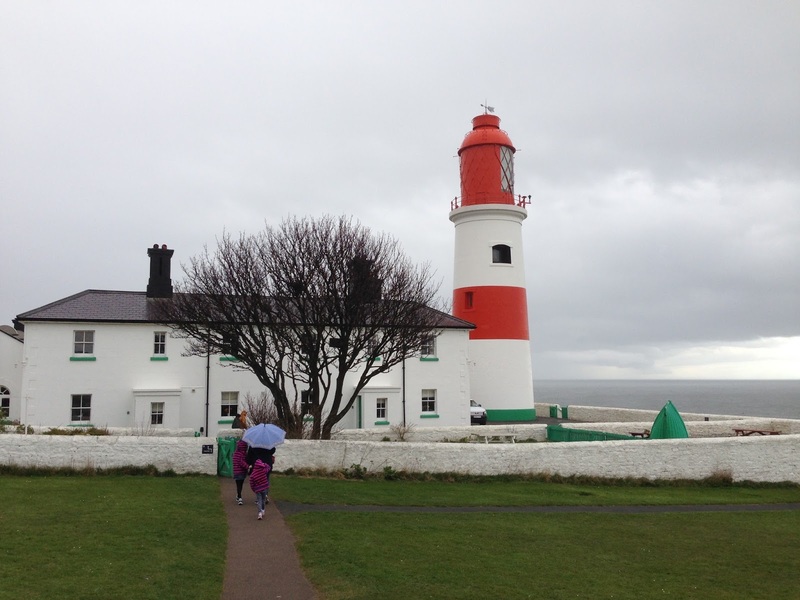 Souter is a really interesting property and lots of interactive parts for children. We enjoyed climbing up to the top of the lighthouse afterwards, but climbing back down was a little scary! We looked around the old lighthouse keepers cottages. There is an engine oil smell that triggers off so many memories as you enter, see if you can spot it. A great place to blow the cobwebs off at the North Sea coast! There’s always plenty of fish and chip places to go to afterwards! 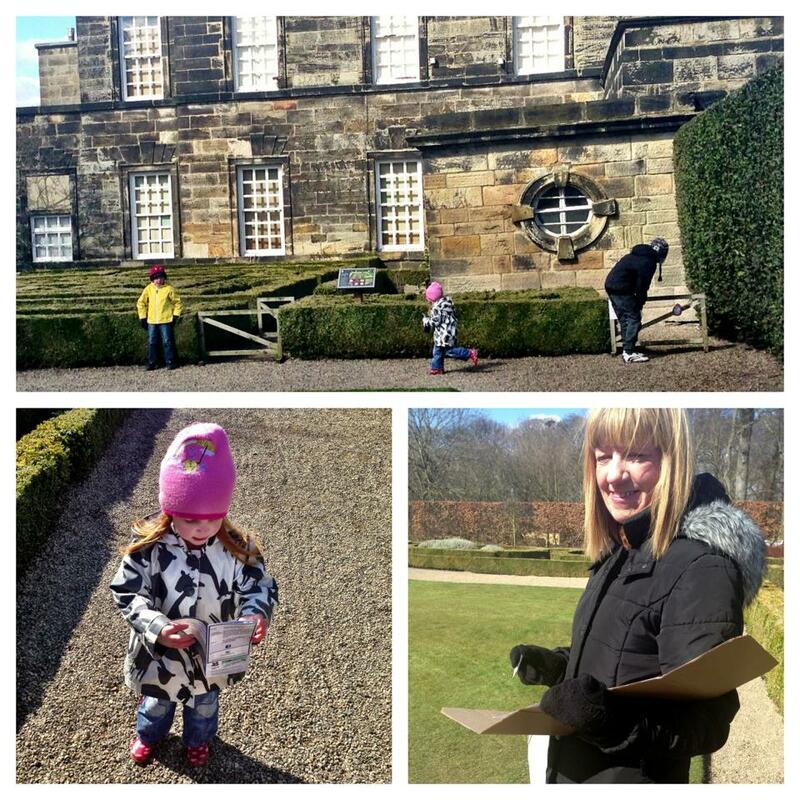 Gibside | 19 April - 22 April | 10am - 4pm/6pm | £2.50 per child (regular admission applies). Find out more here. 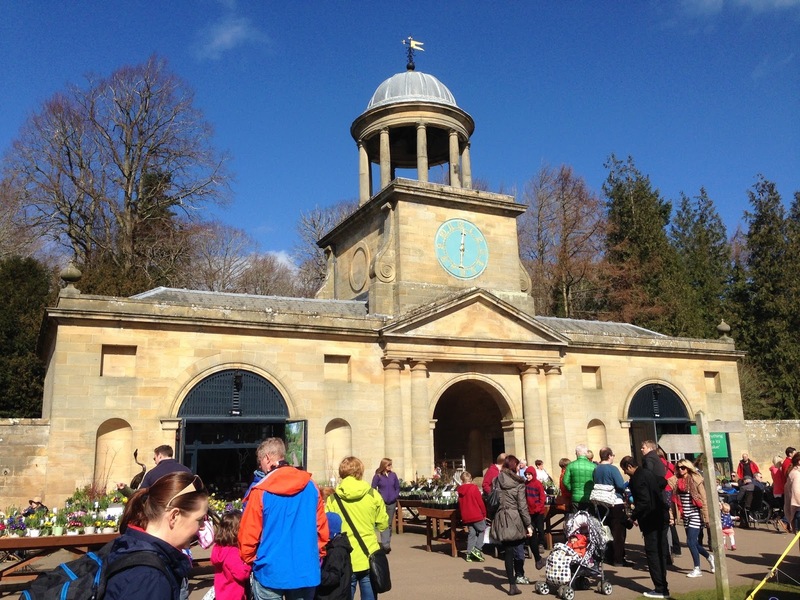 Cragside | 19 April - 22 April | 11am -3pm | £2.50 per child (regular admission applies). Find out more here. Thanks to The Hoopers for all of their help! Personally, I can personally recommend the Egg Hunt at Washington Old Hall (read about our trip here). Let me know which NT Egg Hunt is your favourite.